From classic crowd pulling to brush’n’go, the world of marketing has seen everything. But, in today’s digitally and socially connected world, businesses, especially small businesses need to roll up their sleeves and try something out-of-the-box to make a statement. How exactly can they do that? What are the possibilities in marketing for small businesses? Here are some out-of-the-box marketing tips that small businesses can make use of. They don’t require celebrity endorsements or millions to be paid to advertising agencies. Some technical expertise and an upper hand in Internet marketing is more than sufficient. Content marketing refers to the process of creating, sharing and publicizing online content. They may include blogs, videos, social media posts and related posts. Genuine and original content created bearing the needs and aspirations of users can help a brand scale new heights in business volumes. “Strategically created and published content can drive traffic up and even lead to profitable customer interaction.” ~ Content Marketing Institute. 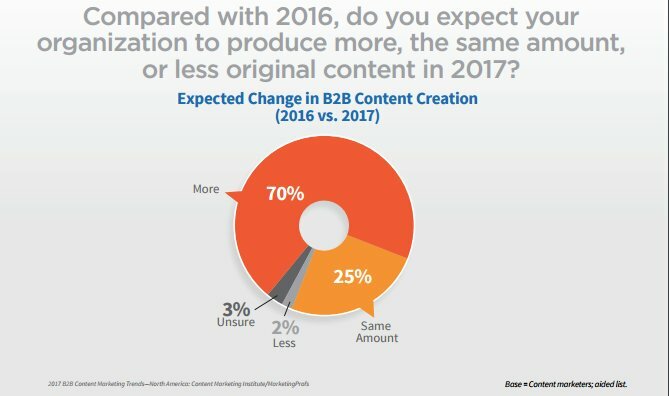 Content Marketing Institute’s B2B research also found that “70% of B2B marketers plan to create more content in 2017 compared to 2016”. Why content marketing clicks with the online community? The primary benefits of content marketing are that it helps reach the target audience accurately than ever before. If you put a billboard on a public road, chances are high that your segmented customers may not see it. But with a content marketing strategy, you can pinpoint specific, tailor-made content that reaches them with fail and creates a link that grows and leads to conversions. Secondly, more than 70% of the business today originate from search engines. Google & Bing are the market leaders who promptly help organizations get more businesses through organic traffic. Content marketing aids this higher ranking in search engines through keyword based content and also through other user-centric processes. Above all, content marketing establishes the small business as a subject matter authority in its domain. It leads to more social traffic and followers thus increasing the scope of conversion. Specific key individuals like celebrities, bloggers, authors or a specific type of people, like chefs, marketers, designers, tech-evangelists can be rightly called influencers. They are usually individuals with a high fan following on social media channels like Facebook, Twitter, Instagram, LinkedIn and so on. Their comments, reviews, etc. on the chosen domain garners attention which gives an opportunity for brands to associate and to be seen as reliable choices. Audible is Amazon’s arm for audio books. It has a massive collection of more than 180,000 (& counting) titles which were to be made popular using social media and word-of-mouth marketing. Audible partnered Grace Helbig whose YouTube channel has more than 3 Million subscribers. Grace broadcasted a sponsored video for Audible which had a downloadable link in the end. This helped Audible reach its target audience quickly and easily without having to bat an eyelid. 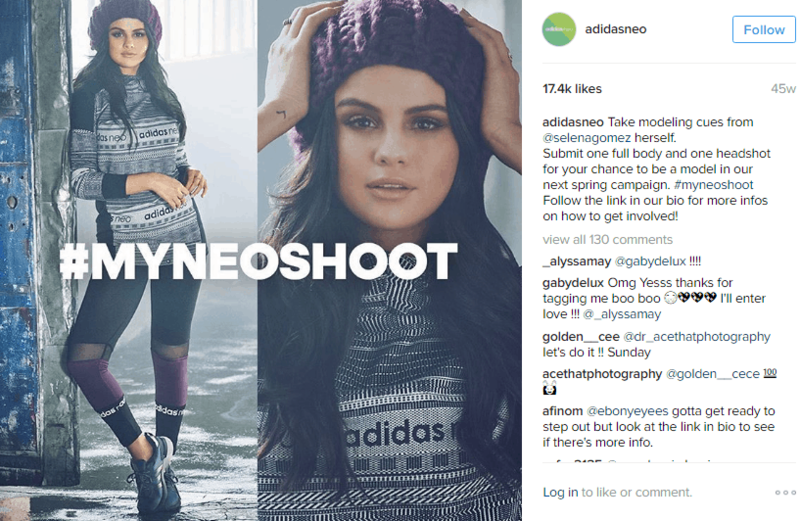 Adidas the sports goods company teamed up with Selena Gomez to run their #MyNeoShoot Insta contest. Selena Gomez, who is a popular celebrity helped Adidas achieve a 24% spike in their sales in between 2015 and 2016 when she was their influencer marketing ambassador. When it comes to content, people prefer watching a video than reading a full-length content. The video is a powerful tool for small businesses to spread a word about their business. Even more great news is that it not only spreads the word but can also be used to improve CTR as high as 65% (Syndacast). Customer testimonials get a human touch and more credibility when they are expressed through videos. Explainer videos showing how products or services can be used can be easily explained using videos than with the help of written manuals. 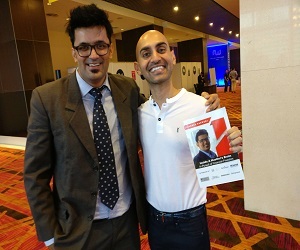 Live streaming of events, Q&A with influencers or even with the founder of the business can improve customer connect and help the business garner more conversions. Video sharing websites like YouTube, Facebook, Twitter, etc. provide brands the perfect platform for video marketing. There are pre-roll, mid-roll, post-roll ad models which businesses can use to play their video ads alongside trending videos. Affiliate marketing and referral programs are a huge draw for companies to draw their customers closer. Referral marketing incentives like Coupons & Discounts or 25% discount when you refer a new user are zero-cost ways to maximize your user base. In fact, they have a multiplier effect. Imagine these newly introduce users introducing more users? You will probably be able to increase your customer count multiple times at fractional costs required for outdoor and Internet marketing. Affiliate marketing is slightly different from referral programs. In affiliate marketing, a website pays commission to an external website, blog or web page for channeling in traffic. The banner ads you click on in web page, CTAs that pop up amidst blogs, download links in videos are some examples of these. As we all know about the recent update by Google relating SSL Certificate, it’s now mandatory to have SSL Certificate on once website, as it helps to build the trust of customer visiting your site. But many of them don’t know about Advantages of SSL Certificate. So how SSL Certificate Really Helps Small Businesses to Grow? It helps to secure the sensitive information depending on your business type like if you have an e-Commerce website then it helps to secure credit/debit card information, ph. Number, Address etc..
To get higher ranking in search engine Google pertains around 200+ algorithms. Recently major communities are favoring SSL encryption to establish trust and secure environment over the web. So, if you have a website, you might want to configure an SSL certificate which does the dual task of securing your website through encryption and also helps to boost higher search engine ranking. Small businesses have a shoestring budget for marketing. But they have to fight a level field with giants having deep pockets. However, the Internet, social media and affiliate marketing do give some solace and help small businesses to reach their target audience without putting in much money. Some such tactics are explained above. Begin with content marketing. Create and curate content about the business and publish it across the Internet. Rope in influencers for quick word-of-mouth publicizing of your business. Resort to video marketing to capture the masses who watch more than read. In the end, roll out commission payments to affiliate marketers for channeling new customers. With these out of the box marketing strategies, your small business will be able to beat competition and rise to the top of charts easily. Sharing success stories for video marketing is a great idea, it can inspire and motivate users and also chances of converting them as a potential customer. Great video, thanks for the inspiration. Thanks for your shearing 4 Out-of-the-Box Marketing Tips for Small Businesses post.This is very heplpfull.